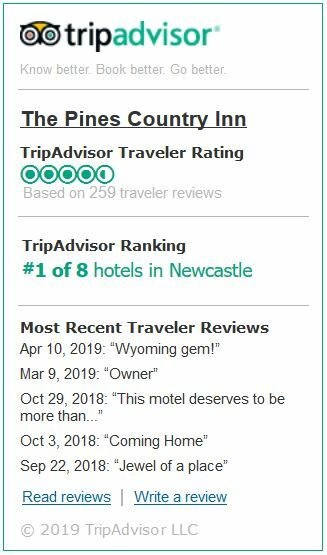 The Pines Country Inn in Newcastle offers a perfect retreat at the end of the day, for those looking to enjoy and explore all the Black Hill’s sights and Sturgis Motorcycle Rally functions. Our accommodations will have you refreshed and ready for another day of riding in paradise. Have a look at the Black Hills map below and plan your days’ rides in South Dakota and Wyoming’s Black Hills.